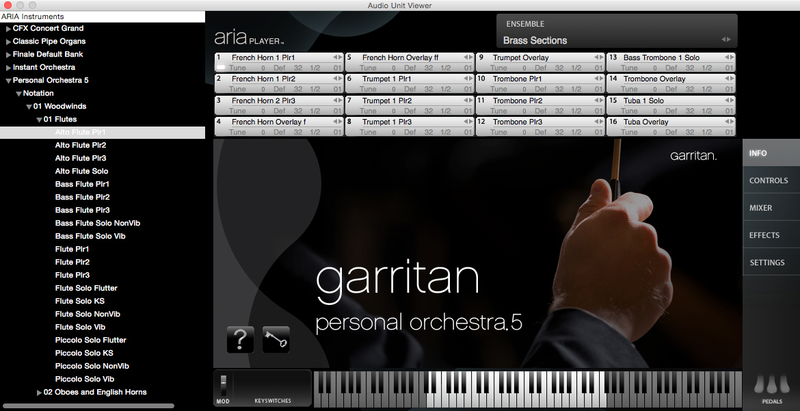 Included with Personal Orchestra 5, the ARIA Player is a state-of-the-art, easy-to-use sample library player. It provides specially-tailored acoustic programming designed to reproduce the sounds of actual instruments and imparts expressive controls to those sounds. 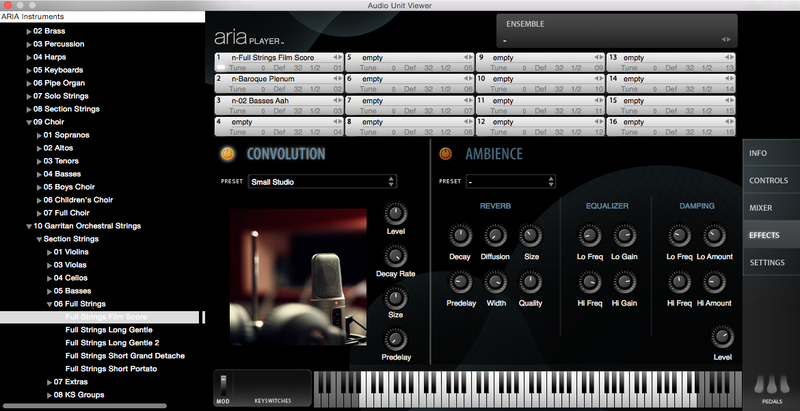 The ARIA Player has been updated for GPO 5 to include additional control, and also introduces a tree view (seen at left in the screenshots below) making it easier than ever to load virtual instrument sounds. 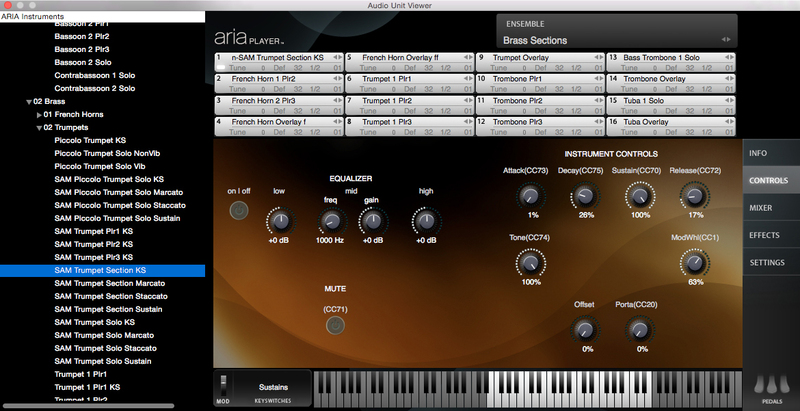 The powerful, high-performance ARIA Engine was uniquely designed by Plogue Art et Technologie Inc. from the ground up to be specialized for playability and musicality. 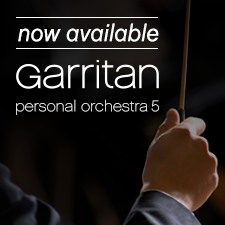 Download Garritan Personal Orchestra 5 for only $149.95! Upgrade for just $49.95!